A girl’s gotta be prepared, so I usually have a handful of tampons in the bottom of my purse. And what happens to those tampons if they don’t get used right away? They get smashed under pounds of other necessities. Or the wrappers get worn from heavy jumbling and bust open, rendering the tampon unusable. Well, waste no more of those feminine wonders: Tampon Tubes to the rescue! 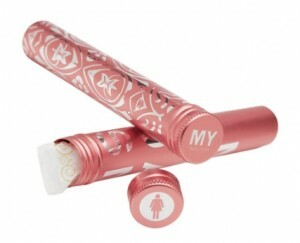 These adorable, sleek tampon containers are crushproof and have twist-off caps that keep your period products from getting smashed in your purse or diaper bag. They come in silver, pink/silver and black/silver, and cost just $10 for a pair. Another bonus? They’re discreet, so you won’t be embarrassed when your 2-year-old rummages through your purse, pulls one out and tosses it across the playground.